J P McDonagh Construction Ltd offers a range of services including project management, design and build along with a number of construction services. Each project is approached with the same professionalism with clients, architects and sub-contractors all working together to achieve the common goal of successful project completion. We work with a team of highly skilled local tradesman to provide our clients with the quality finish and attention to detail which they desire. Our clients benefit from a dedicated management team delivering design and planning. By applying skill, knowledge and expertise, we are able to bring the project to a satisfactory conclusion. Realistic budgets and deadlines will be specified from the outset to provide clients with the reassurance that their projects will be well controlled and completed on time. You can rest assured that our work is of the highest standard as we are members of the European Builders Confederation, Federation of Master Builders and we carry the Government Endorsed Trust Mark. Hello and welcome to our Houzz site We are a small family run consultancy specialising in the creation of beautiful award winning homes throughout the UK. We offer a full service from initial design through to handover and only work on a handful of projects at once so that we have the time to dedicate to you. We are not only limited to new build as we are adept at transforming tired old buildings into stunning 21st century homes through extension, conversion, and refurbishment. We are also experienced at working with listed and other historical buildings. We work in an honest and fully transparent way with the overriding aim of making the process fun, exciting and rewarding. If you are about to embark on a project with a budget in excess of £500K, please get in touch for an informal chat, you won't be disappointed. We provide professional, bespoke domestic and commercial building services. From beautiful traditional stone built extensions to contemporary loft, garage or basement conversions. 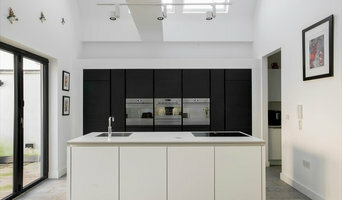 We also offer complete property renovations including kitchens, bathrooms and joinery. I would like to take this opportunity to introduce our company AW Building Solutions that is now in its 3rd generation. AW Building Solutions have been helping people and businesses to improve and extend their homes for over 12 years. We offer a range of services from extensions and alterations , garage conversions, kitchens and bathrooms to ground work and conservatories . 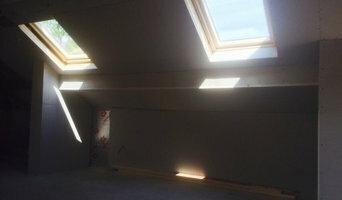 We area building and construction company based in Manchester. We have been established for over 14 years and have steadily grown throughout that time. We are committed to providing an honest and reliable service to all of our clients and believe we exceed our client's expectations. We offer a wide range of services from building maintenance to large scale projects in both the commercial and domestic sector. With the building industry rapidly evolving, we continually strive to use quality and innovative products on all of our projects. With these new lines of construction and innovative products there can be a lack of understanding from our clients who are more used to conventional methods. However with our experience in these fields and our easily approachable nature as a company we feel we can overcome any hesitation and educate our clients to give them the end products that they desire and more. We consider ourselves approachable and trustworthy to all of our clients and feel we are big enough to cope but small enough to care. We have a wealth of experience in building and construction management meaning we can tackle specific works or provide a full turnkey service. If required, we are able to provide assistance with planning, architects, structural engineers, costings, project management and the building works. We work closely with our clients in an open and honest manner until the project is complete. So if you’re searching for a builder we can offer everything you need in one company. We specialize in Building Renovation, New Builds, Extensions, Property Development, Landscaping and Commercial Construction. Originally starting in Bradford in 1985 then moving to the Leeds area in 1995 and expanding further, Acorn Building Contractors offer an oustanding service in the building trade. Covering all aspects of the building trade we offer a variety of services, from small renovation works in domestic houses, to building extensions, new builds and commercial maintenance contracts etc. We have a dedicated team of builders that carry out the larger jobs and specialise in extensions and new builds. They can complete the full package from drawings to build completion to a very high standard. Our expertise extends over bathroom and kitchen installations and refurbishments, wood flooring, tiling and general property maintenance. All of the services we provide are completed using the best quality materials, reliable tools and equipment and top industry methods. Most of our work team are either City & Guilds Qualified in the joinery and building trades or they are fully qualified in their own profession. e.g. all the electricians are fully NIECA qualified and plumbers are corgi registered etc. A unique, bespoke building company that will take your project and turn it into the idyllic home you and your family deserve. Service is our main priority aiming to please our clients with each stage of our work. We can manage your project from start to finish or even take a role in the project and liaise with other groups to create the perfect place to live. CG Building and Restoration Ltd is an experienced Building and Restoration Contractor managing a range of construction projects throughout the county of Yorkshire. These projects incorporate the many aspects of general building, the careful appreciation of restoration and conservation, the complex understanding of the very latest materials with modern and traditional techniques, and the intricate nature of planning and legal issues. All building activity is completed at the highest level, with the greatest care and attention to detail. We can also project manage your contract through each individual stage of construction, allowing you the time to focus on what you want rather than worry about what you need. Our strength as a contractor is our knowledge of restoration and conservation projects – how we can apply modern thinking and materials to traditional schemes. Building is an art when done well and we welcome any project that requires this specialist need. Based in Stockport we offer a complete range of construction and building services including extensions, conversions, full house refurbishment and new builds. We cover all of the South Manchester and Stockport areas as well as Trafford and parts of East Cheshire. Blenheim Park Developments specialise in bespoke homes situated in the finest residential areas, our desire to create outstanding, functional homes ensures we push the boundaries in terms of design, specification and finish. We take great pride in providing a service that is thorough, experienced and innovative, attention to detail is paramount to us and is the driving factor in our commitment to excellence. The multi award-winning Yorkshire based Conroy Brook Group brings together over 40 years of building excellence to create outstanding, craftsman-built developments of the very highest quality. We have developed a niche for natural stone new developments across Yorkshire, specialising in detached family homes, retirement apartment complexes and commercial care homes. We stand for superior quality of design and excellent standards of customer service. A passion for bespoke attention to detail and commitment to our customers has given us a reputation in the industry which is second to none. Our aim is always to ensure your new home provides a living environment of maximum comfort, flexibility and efficiency – and deliver a unique home that leaves a lasting impression. The Conroy Brook Group is a member of the Home Builders Federation (HBF), the Federation of Master Builders (FMB) and the Construction Industry Training Board (CITB). It also runs its own apprentice training programme, to try and help address the industry skills gap. We specialise in the "Grand Designs" type of construction and renovation to residential properties. We built the award winning "Old Shed New House" designed by Tonkin Liu architects which features on Channel 4's Grand Designs House of the Year programme. R&B Building Services are builders and contractors undertaking all aspects of residential construction, maintenance and improvement. We are traditional building specialists and undertake works to listed buildings and heritage projects. R&B Building provide all trades required to complete your project - from the foundations to the floor finishes. Why not build you own house with the help of Batley, West Yorkshire builders? Builders in Batley, West Yorkshire can be employed to handle a wide range of projects; from knocking down a partition wall to building a kitchen extension, but you’ll certainly need the help of a trusted house builder if you plan to build your own home from the ground up. But why would you take on such a task? This may seem like a daunting task, and admittedly, it’s not for the faint-hearted. But with extensive research, trusted builders in Batley, West Yorkshire, detailed budgeting and good judgement you might soon be sitting in the house of your dreams, at a snip of the cost. Your architect’s plans will serve as clear instructions to your builder and, if the former has done their job well, you should also avoid any nasty surprises with the local council. 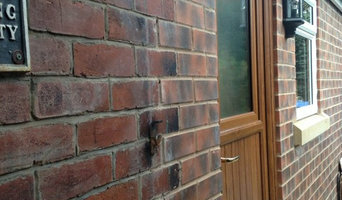 Finding the right Batley, West Yorkshire builder need not be a long or difficult process. 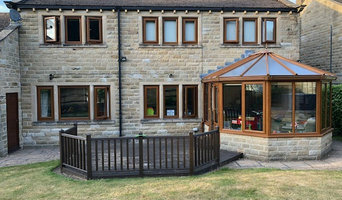 Personal recommendations aside, a good place to start is the Batley, West Yorkshire Home Builders category of the Find a Pro section on Houzz, where you can see their previous work and ask questions. Compile a shortlist of at least three builders in Batley, West Yorkshire that can handle the full scope of works, either by themselves or through sub-contracting. It is often a good idea to play devil’s advocate and ask what the builder will not be responsible for, such as structural engineer consultations. Be weary of unusually cheap quotes. Ask for references and stories about how the builder has met different challenges along the way. If you can, you could try to see builders’ previous projects in person and talk to previous clients, or if not, read reviews, recommendations and ratings, and look at detailed photos of projects. How long have you been operating as builders in Batley, West Yorkshire? Find builders on Houzz. 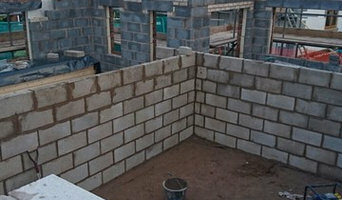 Narrow your search in the Professionals section of the website to builders in Batley, West Yorkshire. You could also look through Batley, West Yorkshire photos to find a project you like, then contact the Batley, West Yorkshire builders that created it.